Ella Thompson loved the children of Baltimore and expressed her faith in them every day. She believed that one person can make a difference and she proved that by example. The Ella Thompson Fund supports programs that provide recreational opportunities to children in many of Baltimore’s most underserved neighborhoods as well as programs that connect children with nature and the environment. Ella wanted children to have a place to realize their potential and be themselves. In the fall of 1988, police detectives came to the door of a young mother and homemaker on West Baltimore’s Fayette Street to inform her that her twelve-year-old daughter, missing for more than a day, had been discovered in an alley around the corner, shot to death. For Ella Thompson, that stark, horrifying moment marked the beginning of a commitment that would last the rest of her life. Although the death of her daughter Andrea devastated Ella, she did not retreat from the streets of her neighborhood as so many of us surely would. Instead, she carried her grief down the block to a small, underfunded recreation center on Vincent Street called the Martin Luther King Jr. Recreation Center and volunteered to work with the children there. Within a year, Ella was operating the Center as director–a post she held for more than seven years as she waged a daily battle for the souls of the children living in the drug-battered Franklin Square neighborhood of the early and mid-1990s. During those years, Ella was everywhere along Fayette Street, engaging her neighbors and committing herself to the idea that with just a little more support, a little more faith and a little more opportunity for the children of West Baltimore, the neighborhood and ultimately the city, could turn itself around. Ella’s quiet, selfless commitment was eventually discovered. Her story was first chronicled in a non-fiction narrative about life in the Franklin Square neighborhood. The project, called The Corner, was published in 1997 and became an HBO miniseries of the same name three years later. Soon after, Ella’s work came to the attention of Parks & People. We hired Ella in 1996 to work for our KidsGrow environmental education program and she was an instant success. The program teaches children from some of Baltimore’s most underserved communities about ecology and nature and encourages community stewardship. 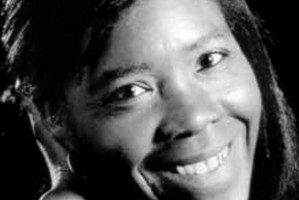 In 1998, Ella Thompson was named “Baltimorean of the Year” by Baltimore Magazine. Later that year, while driving a car full of donated computer equipment to a city recreation center, Ella, only 47, suffered a fatal heart attack. Under the auspices of the Parks & People Foundation, a fund was established by Ella and the authors of The Corner, David Simon and Edward Burns to help support the programs in which Ella believed. With initial donations of speaker fees from The Corner book tour and personal contributions from many who were touched by Ella and believed in her work, the Ella Thompson Fund has since received support from HBO and Blown Deadline Productions, the partnership that produced The Corner, The Wire and Treme. The money goes directly into our youth programming. For more information or to make a donation to the Ella Thompson Fund, please contact Aimee Adashek, Vice President of External Affairs at 667-217-3048 or aimee.adashek@parksandpeople.org.